When Hollywood stars gather together, it is a prime time for products to be advertised. Celebrities walking down the red carpet are basically walking billboards with reporters asking “Who are you wearing?” Perhaps the most expensive billboard present was E! Red Carpet host Ryan Seacrest. Considering he was on camera the entire night talking with nominees before the Golden Globe Awards, who was he wearing? Rolex watch lovers were pleased to see that he sported a Vintage Rolex on his wrist, as opposed to a more modern piece. His wrist bore a vintage Rolex Daytona Ref 6239. Dating back to the late 1960’s, this particular watch is the first version of a watch that would become a classic. 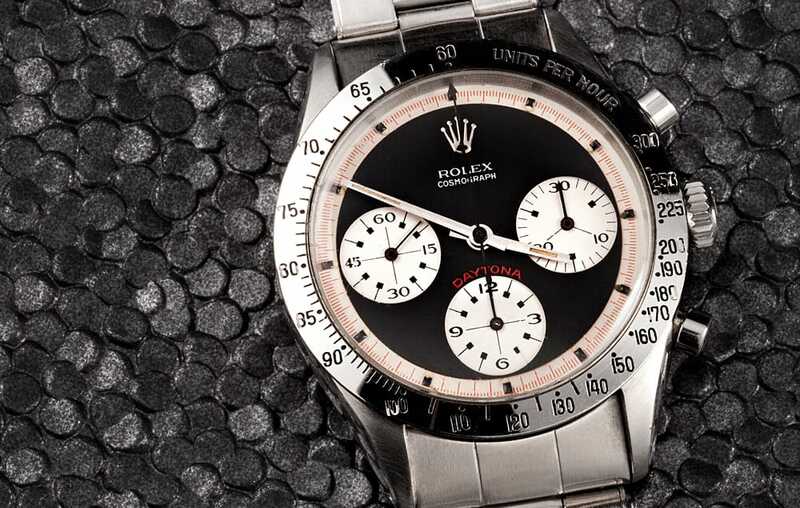 The first Daytona watch got its name from Rolex’s sponsorship of the American 24 hour race at Daytona. For those new to vintage Rolex watches, this is a vintage that will be found on most watch collector lists. 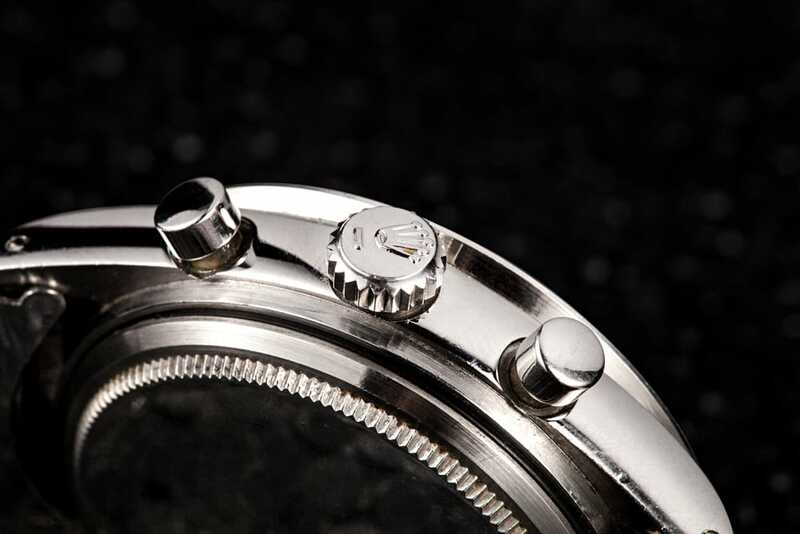 Unlike later Daytona models, Ref 6239 does not have the Oyster features of a screw-down winding crown and screw-down timing buttons. Rather, it features a Valjoux cal. 72 manual wind movement called the Rolex Cal. 722. Seacrest’s Daytona features a stunning stainless steel exterior, a white dial and black sub dials. When the Daytona Ref 6239 was first introduced, it was not in high demand and was relatively inexpensive at only $210 plus tax. However, today they are highly collectable stainless steel vintage watches and can fetch high prices at auction. 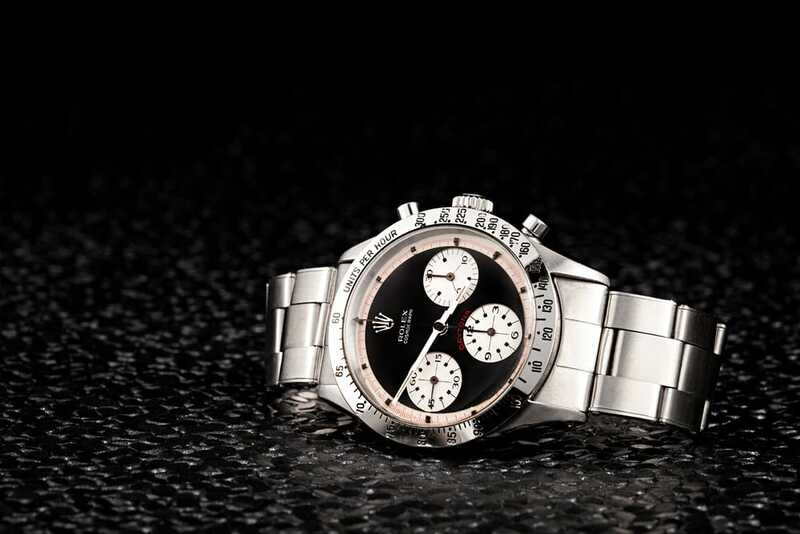 For example, a rare Rolex Daytona Ref 6239 recently sold for an impressive $838,090 at an auction at Christie’s. While the Daytona Ref 6239 is not the most popular Daytona model, it is certainly one of the rarest and most difficult to find and collect. 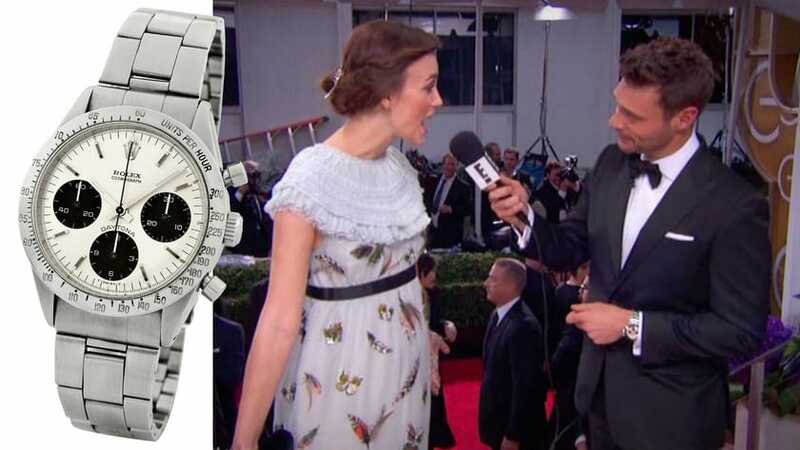 Ryan Seacrest’s Rolex Daytona Ref 6239 was not the only Rolex to grace the Red Carpet. George Clooney was spotted wearing a beautiful white gold Rolex.